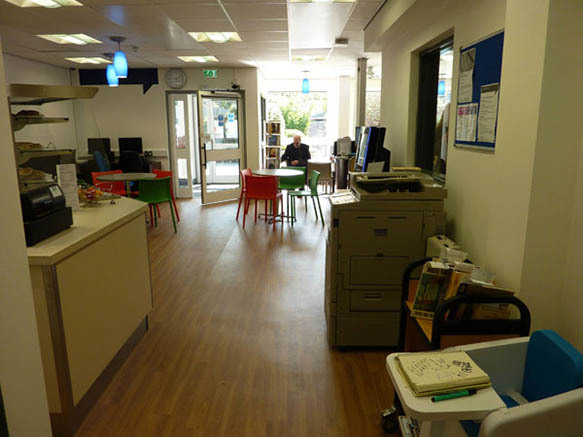 A double shop unit, formerly a chemist, has been converted to create a library plus meeting room and coffee bar. 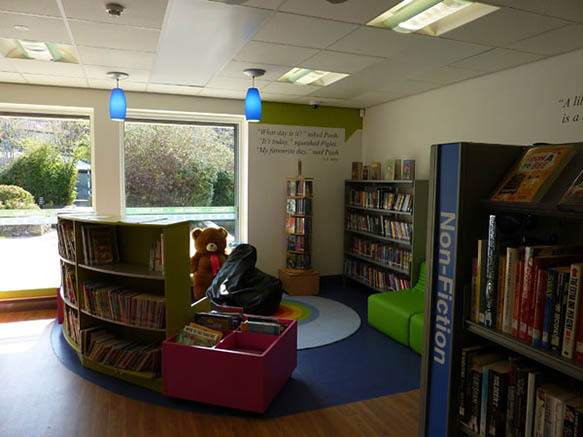 Prominent childrens area to attract families. Coffee bar included in response to demand expressed in recent Village Survey. Meeting room equipped with interactive whiteboard. 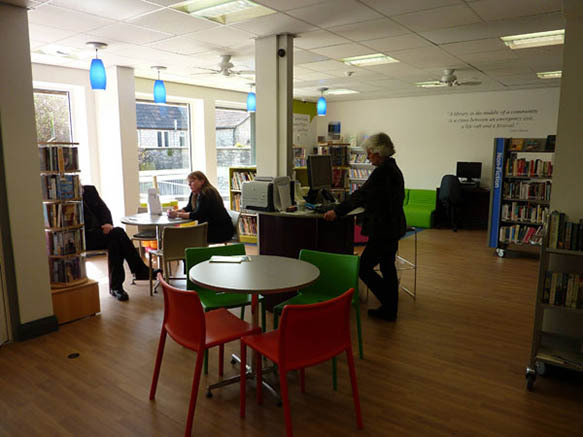 By recruiting volunteers to support exisiting staff the opening hours have been extended to around 30 hours per week from 14 hours in the old library.